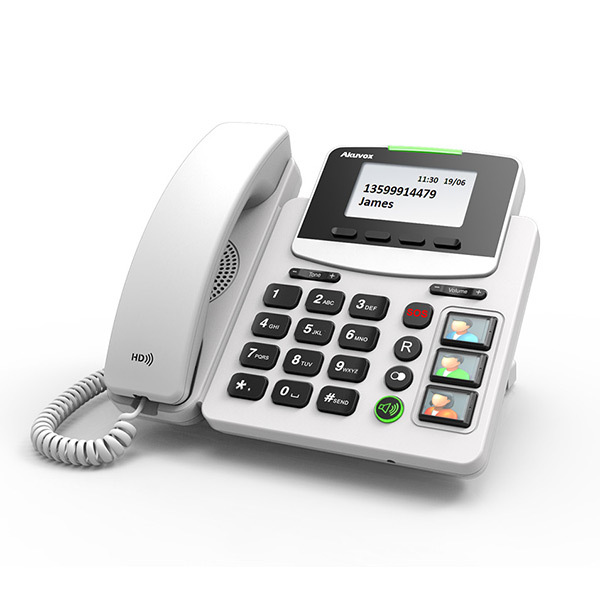 The Health Care IP Phone has been developed especially for hospitals and elderly care homes. With its intuitive structured keypad and clean design the Health Care IP Phone blends perfectly into personal environments. Special features like the illuminated SOS key that calls up to 3 phone numbers and sends out a prerecorded message as well as three large memory keys that allow adding relatives’ pictures make the phone very easy to use. The illuminated loudspeaker key allows easy hands free conversations in HD Audio and the large keypad allows easy dialing. 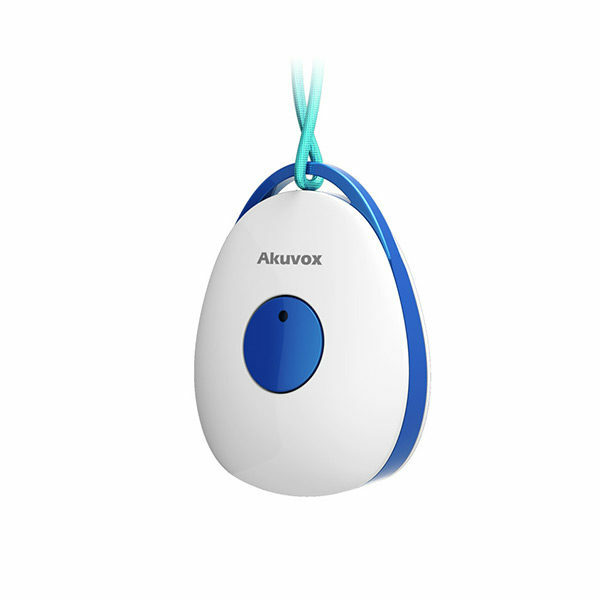 The wireless pendant makes the telephone accessible even if a person is not able to leave the bed allowing easy calling for help by a simple push of a button. The pendant will activate the SOS button and automatically call out to up to 3 predefined phone numbers or extensions. Once a person picks up a prerecorded message will be played allowing the collie to rush for help. If Relatives that phone numbers are stored in memory keys call the telephone will auto answer on speakerphone without the need for the caller to pick up the handset, making it easy especially for relatives of older family members that need time to pick up the phone. Build-in PoE allows for easy and flexible deployment without the need of any additional power cables connected to the phone. A second LAN port built in the phone allows connecting a computer to access the internet via LAN cable if needed. The phone is compatible with any SIP based IP Phone system. Why deploy IP Telephony Systems in Hospitals and other Health Care Environments? 3x programmable direct dial keys for family members, nurse or doctor etc. Phone Demo: Please contact us for a Phone Demo in our office. Projects:We can offer project prices for sites with more than 50 extensions. Please contact us for more information via phone or email.